ikas Khanna is an award winning Indian chef, restaurateur, food writer, filmmaker, humanitarian and the host of the TV Show MasterChef India. He is based in New York City. 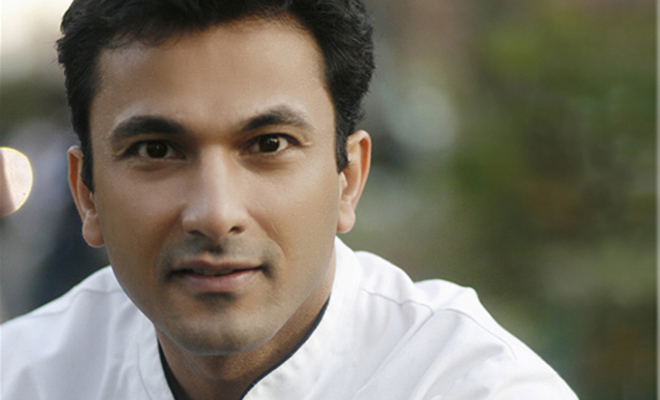 Vikas Khanna was raised in Amritsar, India where he grew up surrounded by large family feasts, the seasonal produce fresh from the fields of Punjab, and of course, his Grandmother’s traditional home cooking. It was at his grandmother’s side that he began to learn the intricacies of Indian cuisine. He started his own banquet and catering business, Lawrence Gardens, at the age of 17. During his graduation from the prestigious Welcomgroup Graduate School of Hotel Administration, Vikas went on to train under renowned chefs of Taj Group of Hotels, Oberois, Leela Group, and many more. He has studied at the Culinary Institute of America, Cornell University and New York University and the prestigeous Le Cordon Bleu, Paris. He has worked with some of the most honored chefs in America in New York. He has received glowing reviews from the press, his gastronomic peers, and also recognition from the James Beard Foundation. In 2011, Vikas was honored with the Rising Star Chef Award by Star Chefs for his role in shaping the future of American Cuisine. On March 29, 2011, Vikas received a raving review from Sam Sifton in The New York Times. And in October of 2011, Vikas' restaurant, Junoon, received a coveted Michelin star. 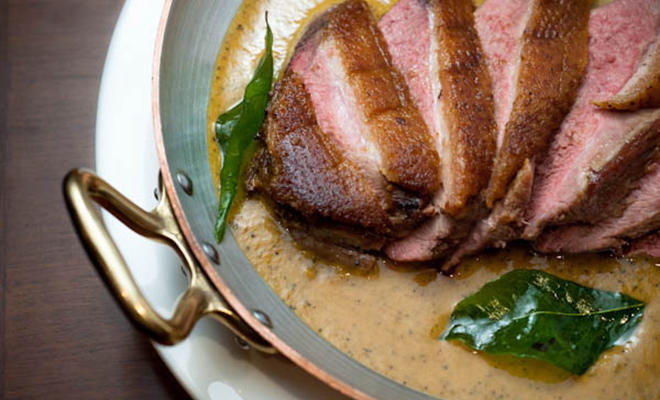 This easy duck breast recipe has a distinctively flavored sauce fragrant with long pippali peppercorns, curry leaves and powder of southern India.